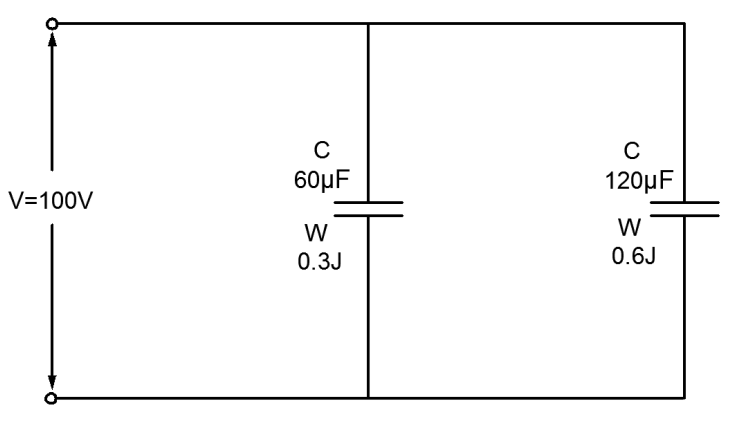 A 60μF capacitor is charged to store 0.3J of energy. An uncharged 120μF capacitor is then connected in parallel with the first one through a perfectly conducting lead. What is the final energy of the system? Assume that, the capacitor 60μF is fully charged, the voltage in the circuit will be equal to 100V. The total energy in the system is equal to 0.9J. Great Explanation!! This forum is very helpful, thanks!